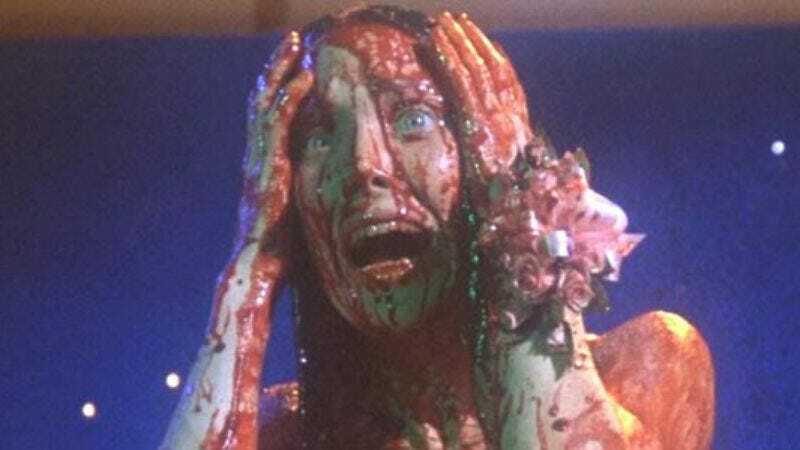 As first reported last May, MGM is prepping a new film version of Stephen King’s Carrie, a remake necessitated by William Katt’s haircut, and the fact that King refuses to publish more than one or two novels that can be optioned for movies every year. Of course, there are a few other reasons—chief among them the desire to make a Carrie that’s “more faithful” to King’s original novel than Brian De Palma’s version (i.e. no fast-motion tuxedo-buying scenes). That’s why they hired writer Roberto Aguirre-Sacasa. who’s already worked on the King oeuvre (The Stand graphic novel series) and stories where young people are put in grave danger (Spider-Man: Turn Off The Dark), and that’s probably why they’re now circling in on director Kimberly Peirce. With a résumé that includes Boys Don’t Cry and Stop-Loss, the spellcheck-defying director has plenty of experience with stories about coming of age under difficult or extreme circumstances, and presumably she’s being brought in to lend some of that same sensitivity to King’s tale of an awkward teen who gets her first period and then kills everybody. And of course, Peirce’s participation will force everyone to take this Carrie remake a little more seriously, which is probably more bad news for Lindsay Lohan.